Tomorrow is the birthday of the man who would change the world for millions – maybe even billions – of children across the globe! Walt Disney would have been 111 years old! For many of us, especially those of us like me, who have started Disney blogs due to the creative nature of the man that started it all, life would not be at all the same if Mr. Disney hadn’t been born into this world. I like to think that all of us that have been to Walt Disney World or Disneyland owe a special thank you to the creative mind that had the vision, passion, leadership, and persuasive skills to be able to pull off such an incredible undertaking. For those of us with Disney blogs, most of us would tell our readers that our blog isn’t about riding on the coattails of one of the biggest and wealthiest corporations out there. Our blogs, at the heart of it all, are a way for those of us that have been fortunate enough to go to these great destinations, to pay it forward to the next generation of families that want to experience all that Walt Disney World and Disneyland have to offer. At the root of it all, the one thing that the Disney parks offer to me that is greater then anything else is the ability for all of us, regardless of stature, place in life, financial situation, whatever, the opportunity for us to be able to leave the worries of the world behind for a while, to be able to focus on what is important to so many of us — spending time with our families, carefree, and to remember what it is like to feel like a kid again. With so many worries in this world — especially in today’s day and age — it is a welcome relief to be able to take time away from it all and just relive our childhood, even if it’s just for a day or two. 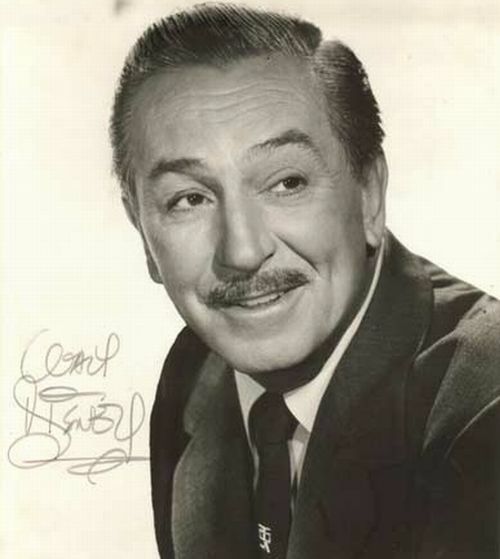 So, I give thanks for Walt Disney, the visionary man who was born on December 5, 1901. This post is being brought to you as part of the Wordless Wednesday Blog Hop that my friend Deb hosts on Focused on the Magic! To see the rest of the great entries for this week, go ahead and click on the button below to head on over to Focused on the Magic, and thanks for stopping by! Are you a Disney Fan? Want to write about your experiences? When we lost Walt we lost a non-replaceable man. Great post Mike! Thanks for sharing your thoughts with us and honoring Walt Disney on his birthday! Well said. Walt has done so much to affect so many of our lives. I agree that we all owe a special thank you to Walt. I always think about how Walt wanted to build Disneyland because he wanted to have a place where he and his daughters could relax together in a safe environment.